Carly Callaghan, Residential Property solicitor at Thompson Smith and Puxon (TSP), discusses the changes to Stamp Duty Land Tax (SDLT). The Chancellor’s announcement on Stamp Duty in the Autumn Statement represents the most exciting and radical reform to the property market for a generation. Stamp Duty Land Tax is the tax you pay when you purchase a house and it is applied according to the amount you pay for the property. The previous system, which ended at midnight on 3rd December 2014, was a slab system which distorted the market with big jumps in taxes when house values climbed into a new band. For example if you purchased a property for £250,000 you paid £2,500 in Stamp Duty but if you purchased for £250,001 you paid just over £7500. Many people considered the way the tax worked to be punitive as at one level it put off first time purchasers but also discouraged those in their first homes from moving to bigger properties as they faced a massive tax liability. The new slice system works more like income tax so property purchasers only pay the higher rate on the part of the property that falls within that band.Under the new system house-buyers pay 0% on the first £125,000 then 2% on the portion up to £250,000, 5% up to £925,000, 10% up to £1.5m and 12% on anything above that. For a house purchase at £275,000 under the old system £8,250 would have been payable yet under the new system it would be £3750 representing a £4500.00 saving. In fact everyone purchasing a property for less than £937,000 or 98% of purchasers who pay stamp duty will pay less representing a tax cut of £800 million a year. Stamp duty represents a significant cost to those purchasing a home but by removing the big jumps, the tax will now be fairer. It will now be more affordable for first time buyers to get on the housing market and it will encourage those currently in properties ideal for first time buyers to move on to bigger more expensive properties. 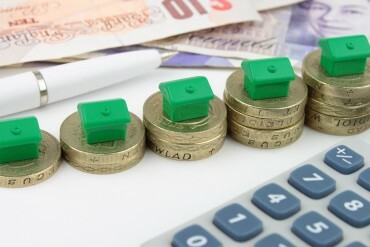 This is great news for everyone considering moving or buying a property for the first time. However, it should be noted that where the buyers of a residential property include particular types of commercial or corporate entities SDLT is charged differently. See the HMRC Website for more information.